is minimised making the Trusti Tuber very easy to use. • Large 4 litre capacity bottle. 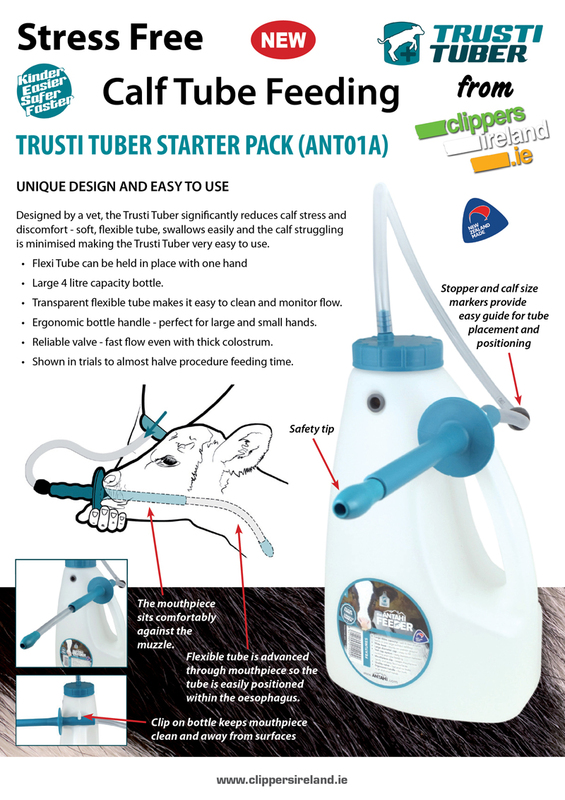 • Transparent flexible tube makes it easy to clean and monitor flow. • Ergonomic bottle handle - perfect for large and small hands. 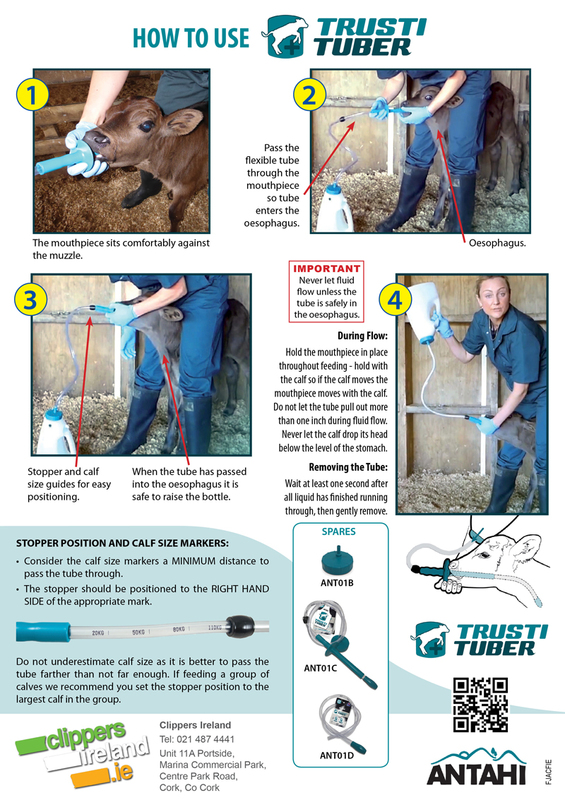 • Reliable valve - fast flow even with thick colostrum. • Shown in trials to almost halve procedure feeding time.